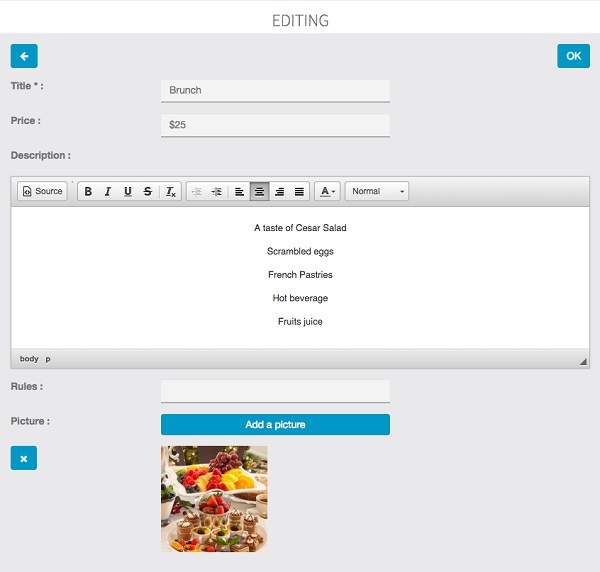 Here is the feature for creating menus or bundles for a business. You’ll be able to create as many menus as you want. Price: This field isn’t mandatory, as you can enter the price in the menu description, but it’s recommanded. Description: you’re going to use the text editor to create a menu. Look below to see how to create a beautiful menu. Conditions: This field isn’t mandatory. You would be able to use it to specify some conditions, for example “only available on mondays”. 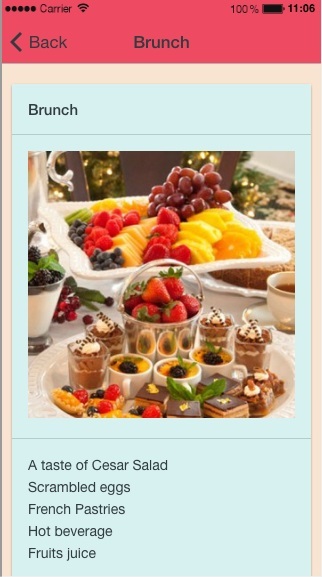 Apply a style to your titles (“appetizers“, “dishes“, “desserts” for example) and center all your text. In order to do that, select your title in the text editor and click on in the text editor’s menu, then click on and choose “title 1” or “title 2”. Your title will be formatted with the Lobster police (the same police that is used for the discount title in the Discount feature). To enter a new menu, click on "+" and repeat the above process. Your customers are now ready to order in your restaurant!